Nintendo 3DS is one of the most popular handheld devices for gaming. The 3DS comes with AR functions, 3D viewing and also cameras that help to enhance gameplay. If you’re new to this gaming device, here are some of the best 3DS games to play. Originally released for the Nintendo 64 in November 1998, The Legend of Zelda: Ocarina of Time is widely regarded as one of the best examples of a 3D action RPG. You play the role of Link as he goes on a time-traveling quest to obtain a wish granting relic called the “Triforce.” The Legend of Zelda: Ocarina of Time 3D is an excellent remake of the Nintendo 64 release. It retains everything that made the original release successful, while spicing it up with updated graphics and support for the 3DS’ auto-stereoscopic 3D capabilities. 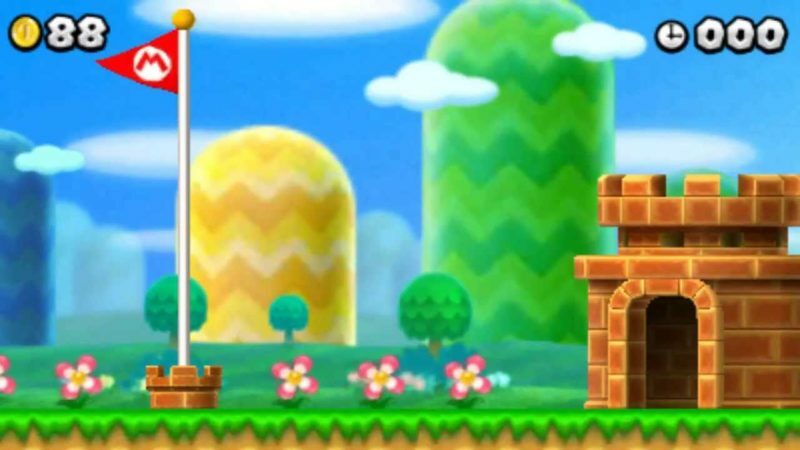 New Super Mario Bros. 2 is a follow-up to New Super Mario Bros. for the Nintendo DS. This new iteration for the 3DS follows the same formula as its predecessor: it’s a 2.5D sidescrolling platformer where you control Mario or Luigi as they try to rescue Princess Peach from Bowser and his minions. This would rank higher, except that there are no big improvements over the original outside of a new special mode called “Coin Rush.” This new mode emphasizes completion of stages as fast as possible while collecting the most amount of coins. Donkey Kong Country Returns 3D is just a port of a Wii game, but it is a very faithful port so it deserves praise. You get a portable version of one of the most beautiful and quirky side-scrolling platformers from Nintendo’s catalogue. It also improves upon the original simply because it is no longer dependent on motion controls. The game is a little bit more challenging than the Mario games, but not to the point of being punishingly difficult. The premise is as simple as guiding Donkey Kong (and occasionally Diddy Kong as a tag-along) from one side of the screen to the other. You jump, hurdle, and bash obstacles along the way. Dragon Ball Fusions takes the Dragon Ball property and jams it straight into a Pokemon-inspired role playing game. 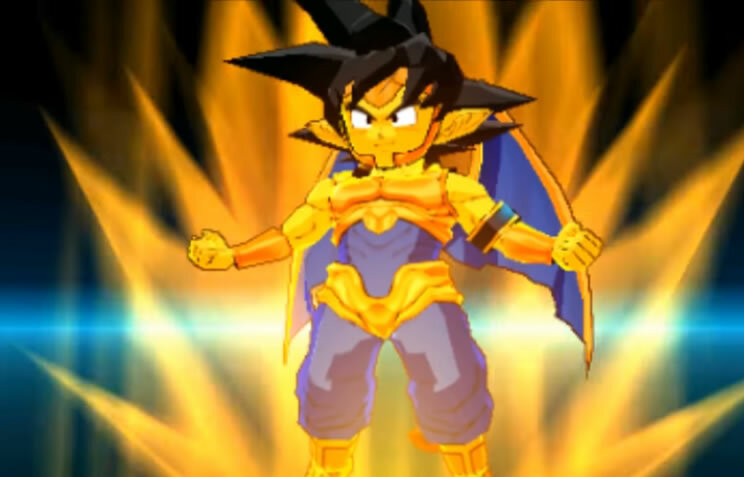 The result is a cute cell shaded 3D RPG where you create your own anime avatar and collect official Dragon Ball characters, which you can mix and match in order to create powerful new fusions for use in battles. This game is perfect for fans of the Dragon Ball franchise if they need something less stressful than a fighting game, and especially if they appreciate chibi versions of their favorite shonen characters. One important consideration with the North American release is that Bandai Namco and Nintendo have conspired to censor the swords in the game. Any instances of a sword has been replaced with a tree branch or wooden stick. 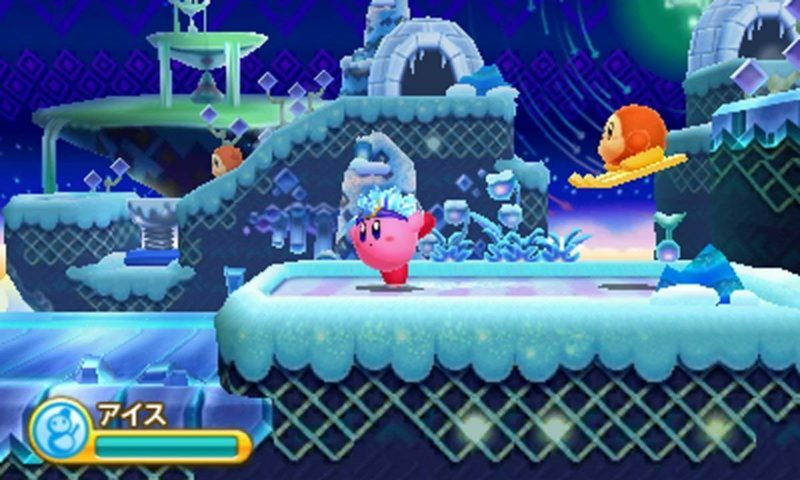 Kirby Triple Deluxe is a cutesy 2.5D side scrolling platformer starring the eponymous pink creature, who is notable for having the ability to mimic its opponent’s powers after eating the hapless creatures. This game is one of the more casual and kid-friendly side scrollers for the Nintendo 3DS handheld. It is colorful and does not have any frustrating puzzles or twitch-reliant mechanics. Kirby Triple Deluxe still offers enough of a challenge to qualify as a video game, but it is easy enough that it is recommended over the Donkey Kong Country Returns 3D if you just need a relaxing game. 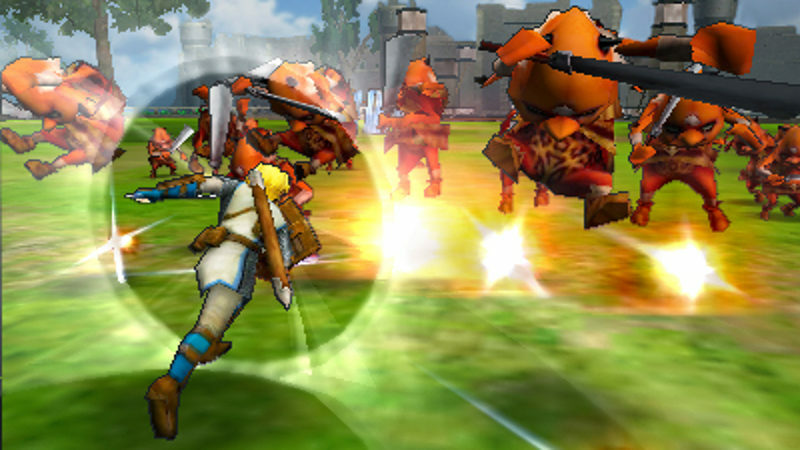 Hyrule Warriors Legends is perfect for fans of Dynasty Warriors and The Legend of Zelda. It is basically Dynasty Warriors’ crowd brawling game featuring Legend of Zelda characters. You get to fulfill the ultimate Legend of Zelda power fantasy as you use Link, Zelda, Toon Link or a number of other franchise regulars to mow down endless waves of baddies and monsters. It is one of the most beautiful games that make good use of the Nintendo 3DS’ hardware, but be forewarned that you may encounter some slowdowns if you are not using the newer iterations of the 3DS or 2DS handheld. Luigi’s Mansion was one of the breakthrough hits on the Nintendo Gamecube. It is a cutesy survival horror game starring the lesser known of the Mario Brothers. 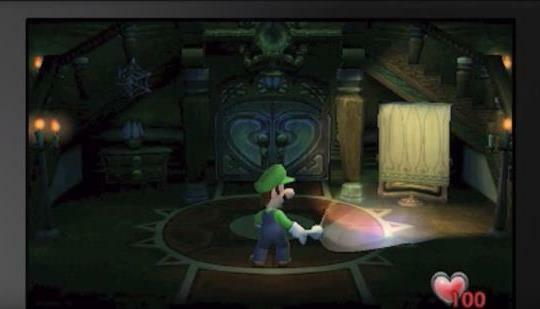 The game has Luigi catching ghosts in a haunted mansion using a vacuum cleaner. Luigi’s Mansion: Dark Moon improves upon the original in a number of ways. First is that the game is longer and features more than one mansion. Second is the addition of new game modes: a multiplayer mode and an amusing co-op roguelike mode. Of course, the game also takes advantage of the Nintendo 3DS’ auto-stereoscopic mode, so you can bust ghosts in three dimension! 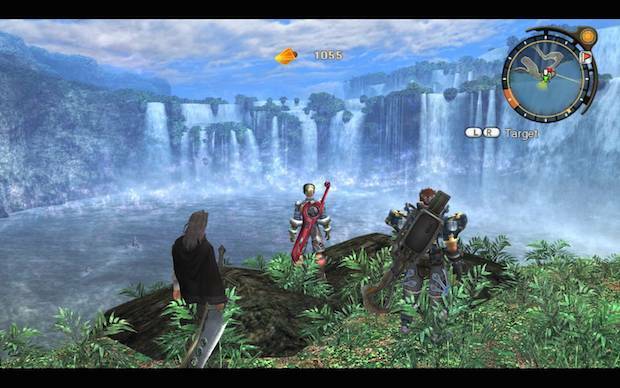 This is a 3DS port of the original Xenoblade Chronicles, which is a 3D JRPG released late into the Nintendo Wii’s life. It was one of the best JRPGs on the Nintendo Wii, featuring an epic story about two gods locked in eternal struggle, the hapless mortals trapped in the middle, and a legendary sword with the power to save or destroy reality. Despite being a straightforward port, Xenoblade Chronicles 3D is important because the Wii version was difficult to come by. 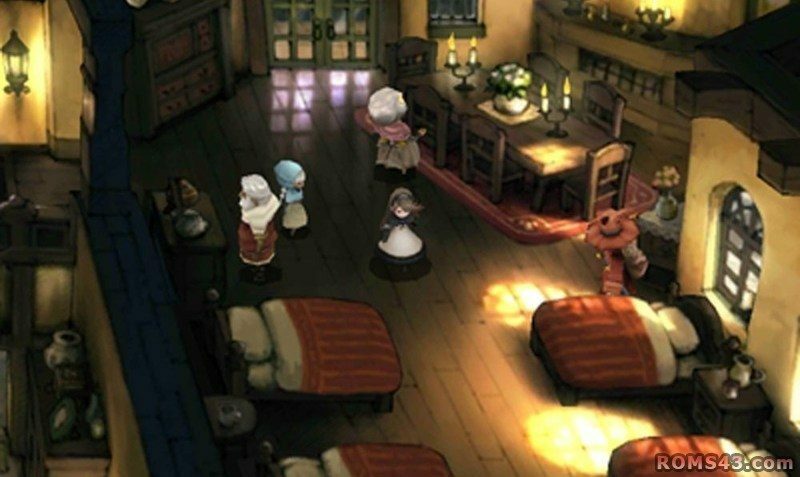 For many JRPG fans, the 3DS port is their only chance of playing the game. The simpler controls and support for auto-stereoscopic 3D is icing on the cake. 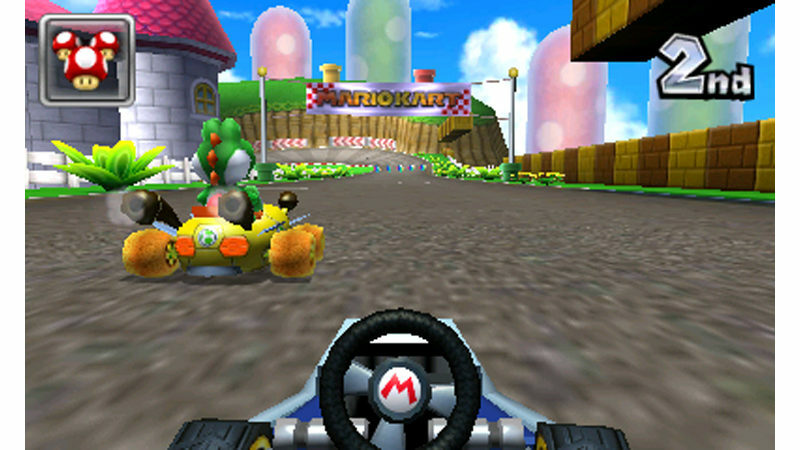 Mario Kart 7 is a fairly bog-standard addition to the Mario Kart franchise. But that’s not such a bad thing considering that the franchise is exceptional and one of the best innovators of the kart racing genre. It contains everything that gives the Mario Kart series its personality – the Super Mario characters and their cute little vehicles, race tracks based on different Super Mario games, and power-ups that are helpful when picked-up but ridiculously frustrating when used against you. Beyond the obvious visual upgrades over its predecessor, Mario Kart 7 is a great karting game with marginal improvements to tide you over until you get Mario Kart 8. Next up on number 21 of best 3DS games is Super Smash Bros. You can’t have a Nintendo gaming device without buying a Super Smash Bros game to go along with it. 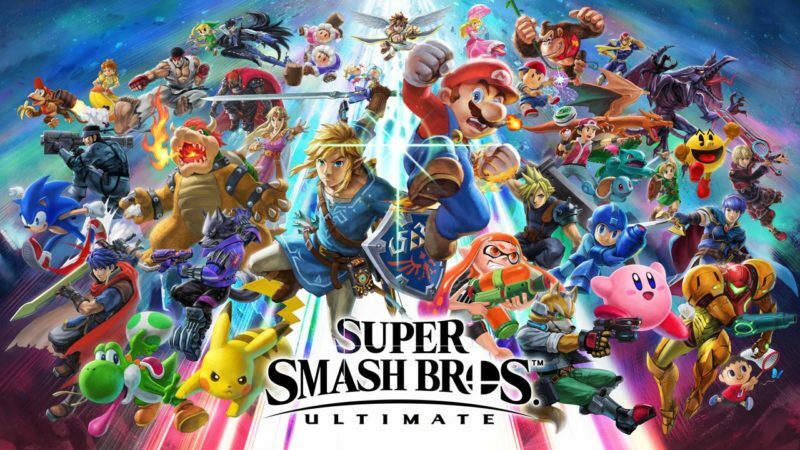 The Smash Bros franchise is a party fighting game that takes characters from various video game franchises, pitting them against each other in 1 vs 1 or 4 player free-for-all matches. The stages are based on various video games, and each character has access to different signature moves. Super Smash Bros on the Nintendo 3DS is important because it finally includes Sonic the Hedgehog as a playable character. This finally allows 90s kids to settle the decades-old feud between Sega and Nintendo. Nintendo’s handhelds would probably have a lot less success if it weren’t for Pokemon, so it is not surprising that one of the recent landmark entries in the series is also considered as one of the best games on the 3DS. They also added a new Battle Tree and up-close Pokemon petting, which lets you develop a real attachment to your individual Pokemon. When you play this game, going back to the older games will be an impossible challenge. The Legend of Zelda: A Link to the Past was first released for the Super Nintendo console in 1991. It is still considered as one of the best representatives of the action RPG genre, so it is not difficult to recommend the 3DS remake as well. 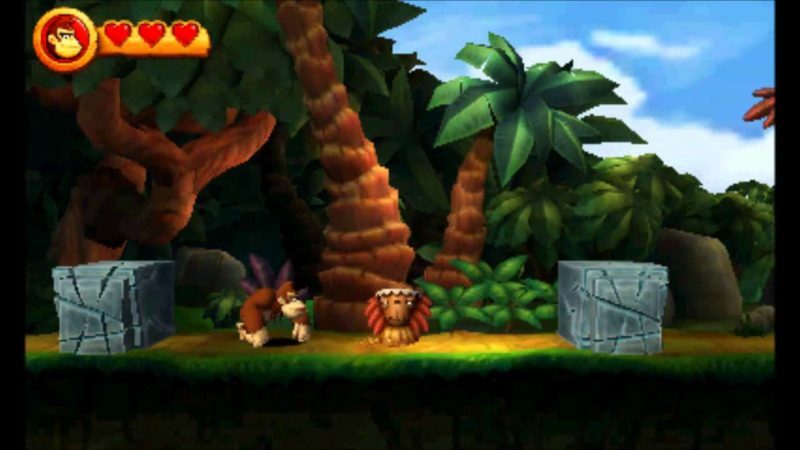 Aside from the visual improvements (the game was built from the ground up and rendered in colorful 3D), there are also refinements in the gameplay. This includes an item rental system that lets you “rent” anything in the game regardless of story progress. With this new system, you can visit any dungeon you like in any order. Say goodbye to getting stuck on puzzles! Do check out A Link Between Worlds. 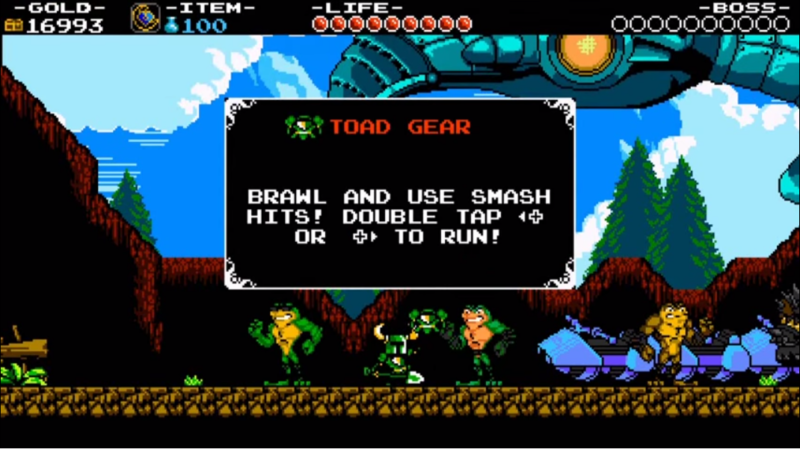 Shovel Knight is a faux retro side-scrolling game that mimics the look of old games from the Nintendo Entertainment System. Inspired by Duck Tales, Castlevania, and Mega Man, it features “8-bit” graphics and challenging difficulty, as you take advantage of the titular knight on his quest to defeat the Order of No Quarter. Using a shovel, the character can attack enemies head on, jump on his enemies, or dig for treasure. The intentionally dated graphics does not detract at all from the quality of this game. As expected of games from the Metroidvania genre, Shovel Knight can be terribly addicting. You’ll wonder which is more difficult: finishing the game or putting it down? Fire Emblem Awakening is a turn-based tactical RPG where you control a group of characters and fight enemies in a grid-like battlefield. 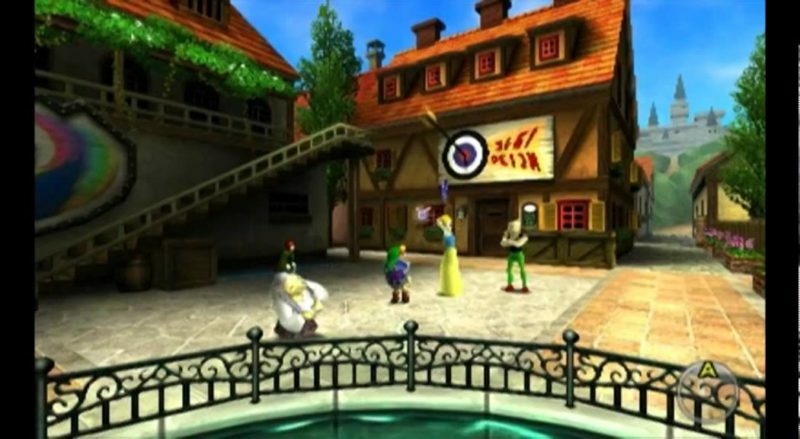 The game’s story revolves around a band of soldiers from the kingdom of Ylisse, and the player is tasked with controlling a customizable avatar character who suffers from amnesia. 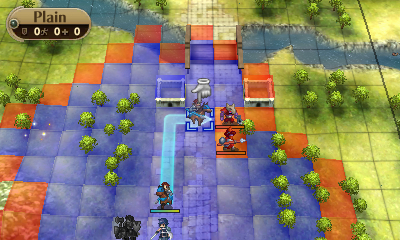 The Fire Emblem games are unique because the death of the player’s units are permanent. If you lose a unit in a battle, they die within the game’s story and can no longer be used. The game also provides eulogies for the dead characters. The story could also change significantly because of the death of certain units, making this one of the few RPGs where character deaths are really meaningful. Animal Crossing: New Leaf is one of the most engrossing, life-ruining, and addictive games on the Nintendo 3DS, which is amazing for a game that involves no sexual content or violence. This is a kid-friendly game marketed as a lifestyle “simulator.” The player controls a villager who just moved into a new town, who is then mistaken for the town mayor. 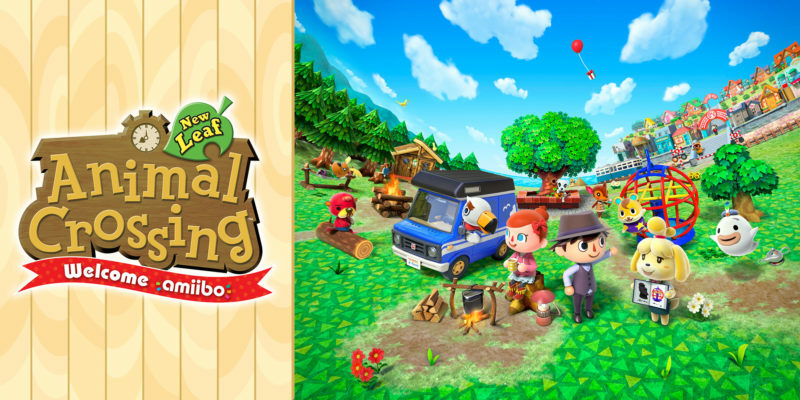 The gameplay revolves around exploration of the township and participating in various activities such as bug catching, fishing, or house renovation. The game is played in real time and runs on a schedule based on the 3DS internal clock, so the player can’t just visit shops and locations if they are closed for the night. This game has the power to control your schedule, not the other way around. Super Mario Bros is known as one of the best side-scrolling platformers in the history of video games. Super Mario Maker takes this one step further and gives you all the tools needed to create your own levels, as well as download and play levels created by other people. The 3DS is fairly limited compared to the Wii U versions due to losing the ability to upload custom-made levels, but all the downloadable user-created content should still be enough to give you thousands of hours of platforming bliss. 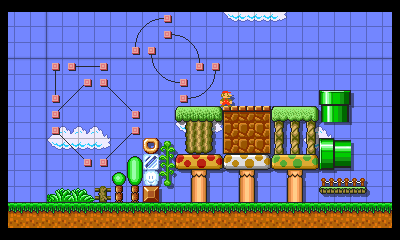 If you are more interested in creating your own levels, it is worth pointing out that the creation process is intuitive enough and does not require any technical savvy, yet the engine is powerful enough to allow recreation of famous levels across different generations of Mario games. 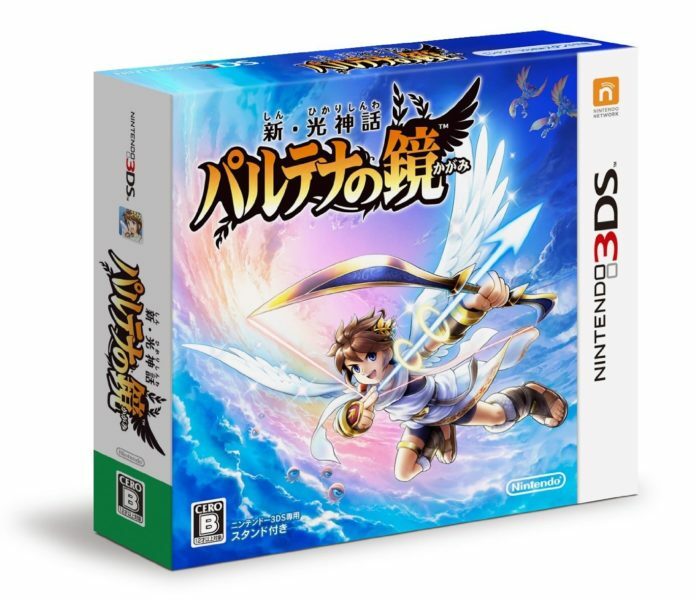 Kid Icarus: Uprising is a landmark release because the Kid Icarus IP is one of the video game holy grails – it’s a popular franchise that Nintendo has not revisited since the Famicom days. This new iteration is a far cry from its 8 bit platforming past, as it uses a modern 3D engine that shifts between on-rails and third person shooting. The player is tasked with controlling franchise protagonist Pit. Pit is an angel that aims to save humanity from the Goddess of Darkness Medusa, the Lord of the Underworld Hades, and all the dark minions they can muster. Kid Icarus: Uprising has a hefty single player campaign and a multiplayer competitive mode that supports up to six players. Dragon Ball Z: Extreme Butoden is a 2D fighting game based on the massively popular Dragon Ball Z franchise, made by iconic fighting game developer Arc System Works (makers of the Guilty Gear and BlazBlue fighting games). Extreme Butouden features a ton of characters from the Cell Saga all the way to the God of Destruction era. There are a variety of modes that include story, arcade, and allows for 3 vs 3 matches. The visuals are not as crisp given the hardware limitations, but they look good enough on the 3DS’ small screen. 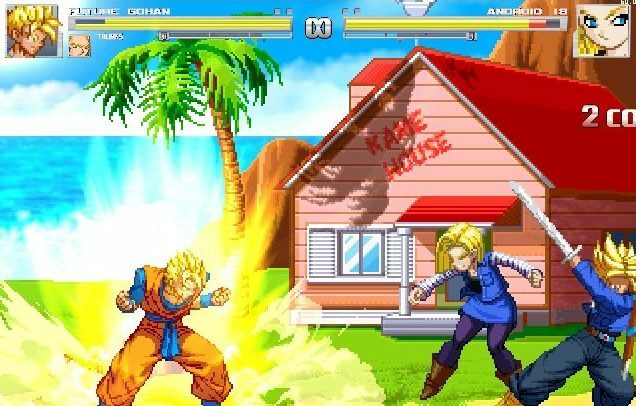 This is a competitive 2D fighting game first and foremost, so even people who are not fans of Dragon Ball will still enjoy the solid technical fighter hiding behind the Dragon Ball skin. Resident Evil: Revelations is an action horror game that revolves around counter terrorist agents Jill Valentine and Chris Redfield, as they try to stop a shady conglomerate from infecting the oceans with a strain of zombie virus. The game involves third person shooting and puzzle solving, with each level consisting of episodes that shift between Chris and Jill’s perspectives. The game features both single player campaign and a multiplayer mode. 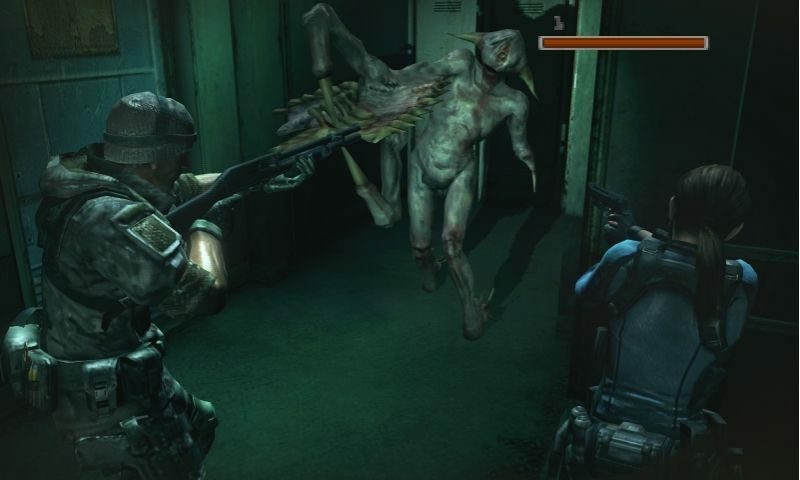 Resident Evil: Revelations is easily one of the most beautiful games on the 3DS, to the point where it was ported to consoles and the PC platform without any significant changes to the visuals apart from a resolution upscale. 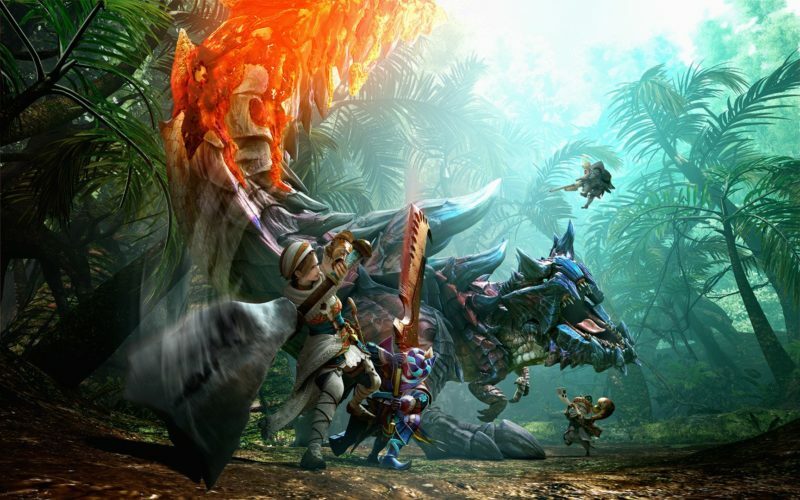 The Monster Hunter series is one of Capcom’s most popular franchises, yet it remained only a cult favorite in the west until recently. 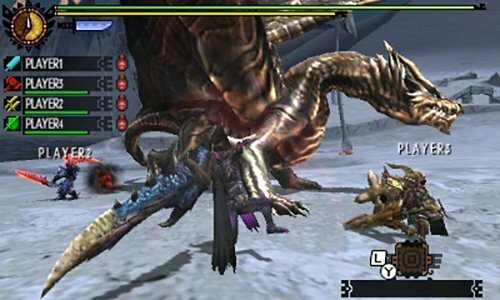 The Monster Hunter games are 3rd person action games where the player character is tasked with hunting down various colossal monsters, and using the fallen beasts’ remains as ingredients for weapon and armor upgrades. Monster Hunter 4 Ultimate is a great entry for newcomers to the franchise, mainly because the opening chapter spends its time to introduce and guide players who are not familiar with the series’ mechanics and lore. The game has a hefty single player campaign, but it really shines if you have a friend who can accompany you in the multiplayer mode. Minecraft is a sandbox videogame originally developed for the PC by Markus “Notch” Persson. The game eventually grew popular enough to be considered a cultural phenomenon. The game uses voxel-style graphics that look rather crude, but offer enough freedom that players can mine resources and use it to build just about anything they want – people have since gone on to create complex masterpieces including fully working calculators or voxel recreations of famous landmarks. The 3DS version is a fairly good port, with the only flaw being the fact that it requires the new 3DS or 2DS handheld. It will not work on the original 3DS or even the XL versions. 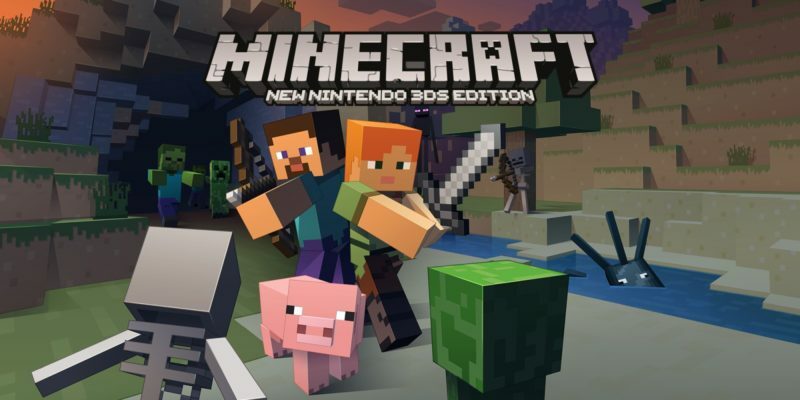 Minecraft is not just one of the most popular PC games, but also one of the best 3DS games despite its bad graphics. Metroid: Samus Returns is a side-scrolling action adventure game that serves as a modern refresh of the 1991 Gameboy game, Metroid II: Return of Samus. The 3DS remake retains the story and the structure of the 1991 original, but enhances the engine with modern 2.5D visuals and various improvements such as a new melee counter-attack, new powers, and the ability to fire at any angle. Young players who were not born in the 90s should check this out just to get an idea why the Metroid franchise inspired an entire genre of video games. But the game itself is good enough that it should be worth playing even if you don’t care about its historical significance. The 3DS is full of exceptional JRPGs, but Bravely Default stands head and shoulders above its brethren, that it would still be included in a “best of” list even outside of the Nintendo 3DS. It was created by many of the people behind Final Fantasy, and is a great return to the roots of the genre. Bravely Default gives players control of a party that can be customized in both appearance and abilities, taking advantage of a robust job system that will be familiar to Final Fantasy fans. 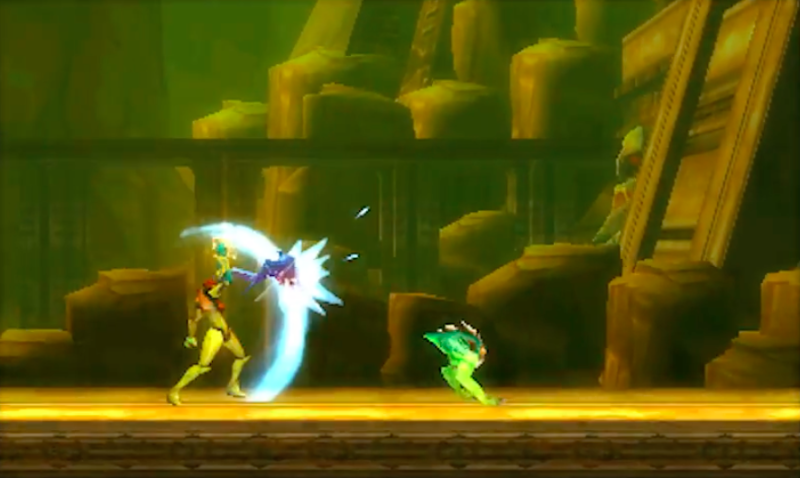 The game uses traditional turn-based combat, but enhances it with the addition of modern mechanics such as ATB and combo meters. Last but not the least, it is also one of the most gorgeous games on the handheld so it is both a joy to play and a sight to behold. The sidescrolling arcade beat ‘em up has long been an underrepresented genre, as very few noteworthy examples were made once 3D graphics became the norm. 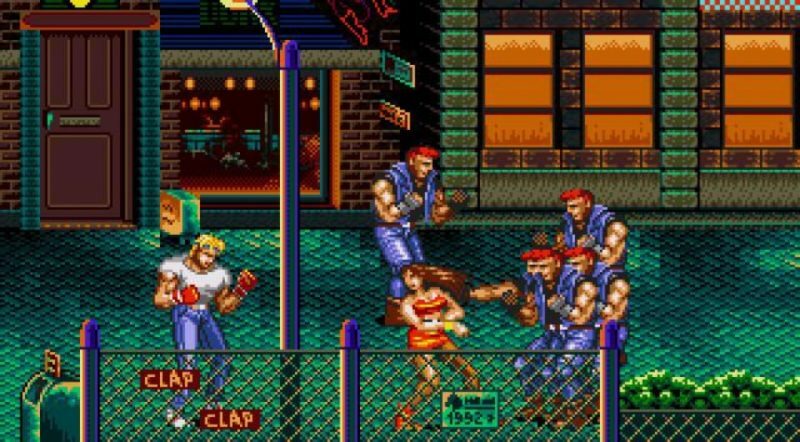 3D Streets of Rage is therefore a much-needed addition to the genre, as it brings back the franchise that represented the genre on Sega’s side during the 16-bit era. It retains the original formula: a 2D sprite-based engine and a number of tough guys kicking, punching, and throwing waves of thugs and gangsters as they walk from one end of the screen to the other. It is a faithful recreation of the Sega Genesis original, with one neat addition: support for auto-stereoscopic display. There’s also a secret enhancement to the game, a new mode called “Fists of Death,” which weakens enemies so that they can die with a single hit. 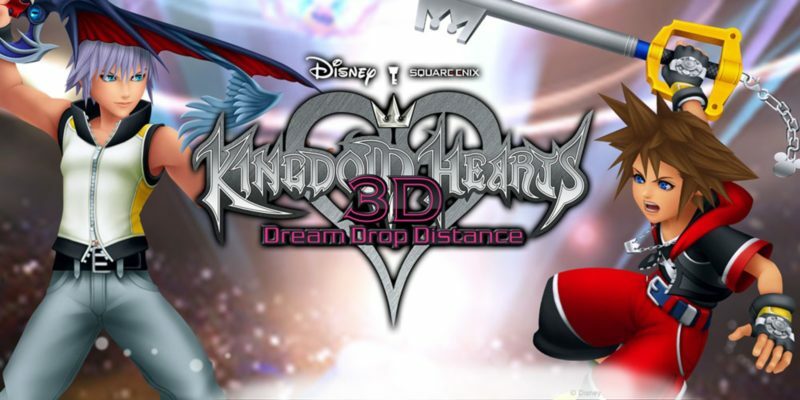 Kingdom Hearts 3D is an action RPG that features characters from Walt Disney and Square Enix’s respective library. While it is not the first entry into the series, the story provides enough backstory that it is enjoyable even for newcomers to the franchise, and may entice them to check out all the other Kingdom Hearts games. Fans of Final Fantasy may find it amusing to see characters like Squall Leonhart or Cloud Strife fighting alongside Mickey Mouse and Donald Duck, and the amazing thing is that the crossover makes sense within the game’s story. Wrapping all of these up is a responsive and flashy combat mechanics that maximize the 3DS’ somewhat limited hardware in order to deliver stunning visuals. Ridge Racer 3D is an arcade racing game that looks real good on the 3DS’ small screens. The franchise has a long history of catering to fans of arcade racing, as it focuses more on responsiveness and more accessible controls as opposed to realism. 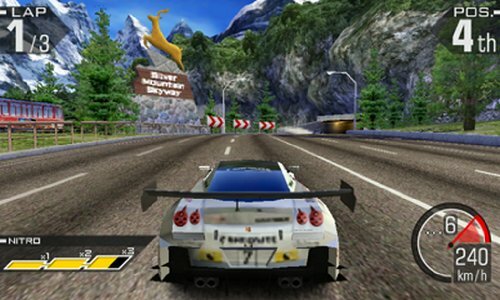 Ridge Racer is also one of the first games to rely heavily on drifting mechanics, and also makes good use of nitro boosts to give advantages to the player. 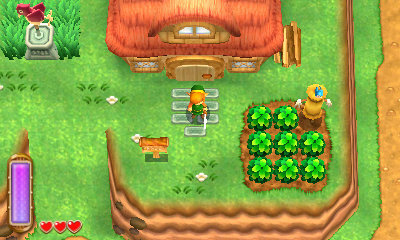 The game also benefits from the 3DS’ auto-stereoscopic capabilities. The game is also chock-full of content by way of unlockable cars, and has a ramping difficulty for people who enjoy challenge. The only flaw of the game is the omission of online multiplayer. Street Fighter IV was the game that allowed Capcom to finally resuscitate their Street Fighter fighting game franchise, which was previously experiencing a slow decline outside of the arcades. 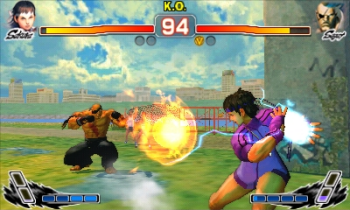 Street Fighter IV revitalized the franchise for console and the PC platforms, and at the time was considered the best installment in the franchise. Super Street Fighter IV: 3D Edition is an excellent port that retains everything that made the game good on its bigger console brothers, while adding bells and whistles that take advantage of the 3DS’ capabilities, such as wifi-based online play, a collectible figure meta-game via the Street Pass feature, and a first person mode. This is technically older than Monster Hunter 4 Ultimate, and is not as friendly to newcomers to the franchise. But if you are already a fan of the Monster Hunter games, Generations should be a must purchase because it servers as a “Greatest Hits” of the Monster Hunter franchise. It features locations, monsters, and various other elements from the all the older Monster Hunter games. Monster Hunter is also seamlessly wrapped up in one nifty package that takes advantage of the Nintendo 3DS’ hardware capabilities. It is still playable even for newcomers to the franchise. The lack of a novice-friendly tutorial keeps the learning curve steep, but the experience will be more rewarding once the player gets the hang of things. Pokemon Rumble Blast is an action beat em’ up game featuring the cute (but dangerous) monsters from the Pokemon series. The game gives the player control of a Pokemon so he can explore various areas while fighting other Pokemon. At the end of each stage or dungeon is a boss Pokemon. The difficulty increases as the game goes on, but there are towns in-between where the player can buy new moves and heal their Pokemon. This is a great game for fans of the Pokemon anime or manga who don’t have the time or patience for the role playing games. It supports multiplayer functions via the Street Pass tagging capability of the 3DS. The last or rather first on the list of best 3DS games is none other than Super Mario 3D Land. Super Mario games, particularly ones released early into a console’s lifespan, are considered as system sellers. Many people buy Nintendo consoles and handheld because of a Mario game. Super Mario 3D Land is no different. It is a system seller that works as a banner title for the Nintendo 3DS. It combines traditional 2D sidescrolling and modern 3D platforming seamlessly into a single colorful game with some of the most solid, responsive controls found in the genre. It is one of the few games on the Nintendo 3DS that uses the handheld’s 3D auto-stereoscopic capability as a gameplay feature instead of an optional visual enhancement. 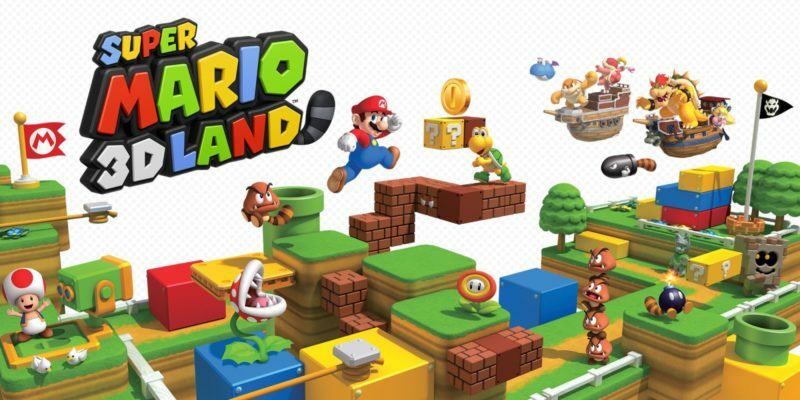 If you ever need to demonstrate the appeal of the Nintendo 3DS to a skeptic, Super Mario 3D Land is the game you use as a demonstration. It is THAT good. What Are The Best 3DS Games For You? We have listed 30 3DS games for you to check out above. Do leave your comments and opinions below on which 3DS games are the best or nicest for you guys.